Warning: This alert contains images that may be disturbing to some readers. Please ask any young children to leave the room before continuing. We are not including these images to shock or offend, but simply to convey to you the reality of what is happening in Pakistan – the time has come to wake up to the truth! Dear Friends and Partners, This past Sunday morning (Pakistani time), Islamic extremists carried out a deadly attack on the All Saints church in Peshawar, Pakistan. As approximately 500 worshippers were leaving the Sunday morning service, two suicide bombers detonated their explosive vests outside the church, leaving at least 85 people dead and over 100 more wounded. The casualty numbers are likely to rise, as sources in the hospitals report that many of those wounded are in critical condition. 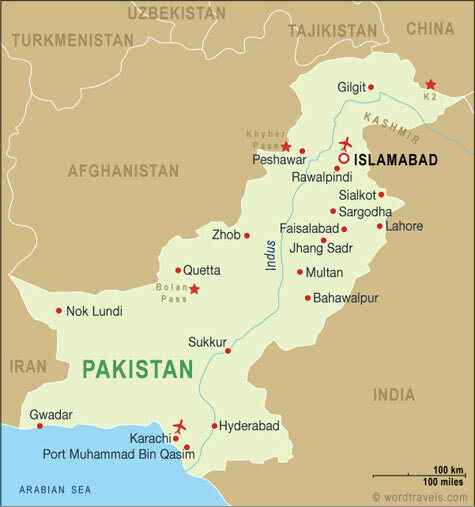 Pakistan’s Christian minority make up approximately 1.5% of the population in a predominantly Muslim nation. As we have reported to you in past alerts and reports, Christians in Pakistan have been routinely targeted using oppressive blasphemy laws. You will recall the story of Rimsha Masih, the young Christian girl arrested on blasphemy charges, who was only able to find safety by fleeing to Canada. The Christian minority has also been subjected to repeated deadly attacks. In 2009, dozens of houses and a church were set on fire by a Muslim mob in Gojra, leaving at least seven Christians dead. In March of this year, a similar mob attacked a Christian neighbourhood in Lahore, destroying nearly 200 houses, approximately 20 businesses and 2 churches. The massacre in Peshawar is a clear and tragic sign that Christians in Pakistan are not free to worship in safety – and that the threat is only increasing. It is vital that we call on our political leaders to hold the Pakistani government accountable for its failure to protect the Christian community. We are grateful that both Canadian Minister of Foreign Affairs John Baird, Canadian Ambassador for Religious Freedom Andrew Bennett, and U.S. Secretary of State John Kerry have issued strong statements condemning the attack in Peshawar. However, it is imperative that our governments’ response not be restricted to isolated statements condemning individual attacks. Public statements by our governments, while vital, are only the first step. Statements of condemnation must be backed up by consistent and sustained pressure on the Pakistani government to take action against Islamic extremism through diplomatic efforts and through linking our trade and aid to progress on human rights. We must not forget that our brothers and sisters in Pakistan are not blessed with the peace and security we enjoy. We cannot afford to stand by as Christians are massacred simply because of their faith and religious practices. Pakistan’s Christians desperately need our support, so please take a few moments from your day to join us in seeking justice and peace for our brothers and sisters. We must stand with our brothers and sisters and for their right to live and worship without fear of being killed for their faith. Please make your voice heard on behalf of the Christians in Pakistan. • for the Pakistan people as a whole, that they would be united and find true peace and meaning in the Prince of Peace. Remember that the persecuted Christians are dying every day, but they are still smiling. They are in a very deep dark night, but they have the candle of the Lord. The enemy can have a very strong weapon and a very strong army, but we have the Lord Almighty. "They can kill the dreamer, but they cannot kill the dream" in the Lord’s name. Be with God and may God be with you.